Hub International specializes in Business, Home, Travel, Auto and Recreational insurance. 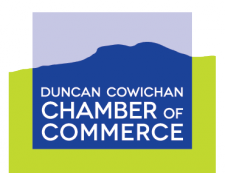 With dedicated experts in all areas, the Duncan office provides excellent customer service through knowledge, expertise and the drive to uphold exceptional client relations as the main priority. Being one of the largest Insurance Brokers in Canada, HUB has the products and coverage that are right for all clientele. Stop in for friendly advice and a full review of all your insurance needs.